How can I make the most of my small space? The benefits of having a patio at home can’t be overstated! But, the most important question is do you have the space for it. 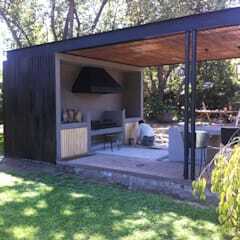 If you do, but it is a tad bit on the small side, there are many ways you can actually maximize this space. 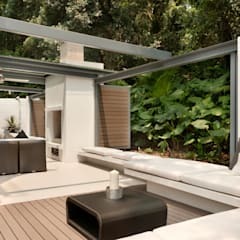 One of the most straightforward ways to bring in a sense of style to any home courtyard is by introducing a well-curated array of outdoor furniture. 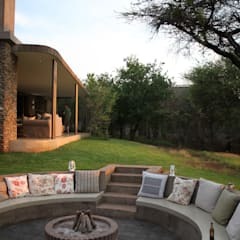 A chic outdoor couch or seating arrangement can automatically conjure up a luxurious and alluring vibe that is conducive for entertaining guests or those weekend afternoon lounge sessions with the family. How can I start with my patio project? 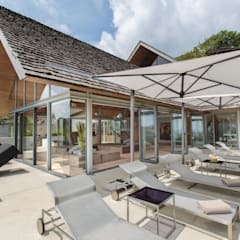 A patio is always a welcome addition to any home. So, if you’ve always wanted one, but not quite sure on where to start, homify is here to help. 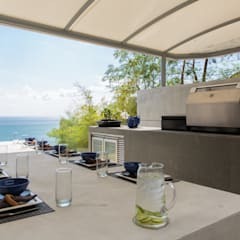 If you're keen to make your patio a bit prettier and more functional for summer, you can go on our website and check out numerous images of patios that you can copy. If you’ve seen some images that you think might work for your space, you can pin them to your very own ideabook, so have the image saved, making it easier for you to come back to it later on. Need professional advice? 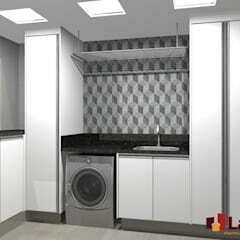 We also have a free consultation page where you can ask interior designers and architects for tips and quotes! How can I light it up at night? 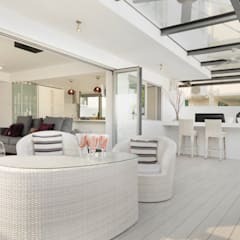 For daytime activities such as having breakfast or brunch in the morning, yoga during the midday, or afternoon cocktails with friends, natural light helps keep our terraces looking fabulous all the time. 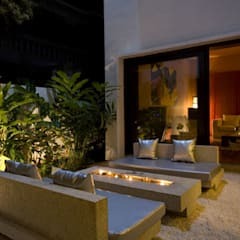 Yet for all the convenience of having great lighting for our courtyards during the day, there are also times when we want to spend our nights at this outdoor space. 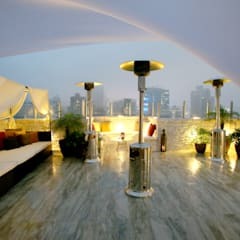 This is why we need to carefully plan the lighting for our terrace as well. 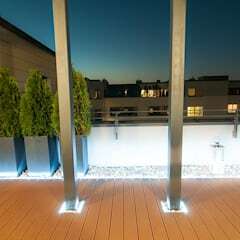 To make the most of your courtyard space – day and night – it’s a great idea to install a good variety of lighting. 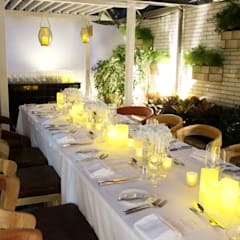 Whether solar powered or connected to the grid, a sparkling array of lights can turn an otherwise dark area into a place fit for gatherings and make you feel even more at home. 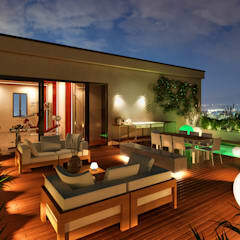 What furniture can work well for an outdoor terrace? 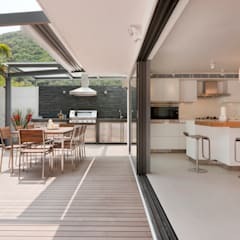 There are a ton of ways to design a patio. 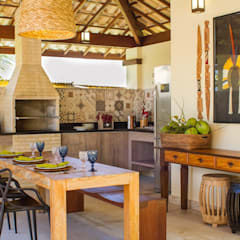 But, generally, if you wish to have one that is conducive to relaxing, you can add some rustic, wooden seating into the mix. 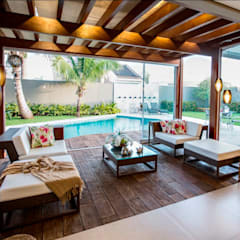 You can take inspiration from this nice tropical atmosphere created by our Brazilian professional Esse Arquitetura E Interiors, which combined a nice wicker pods alongside a small coffee table. 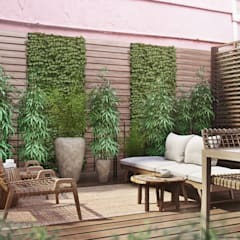 This idea is great for sunlight-facing patios with not much space. 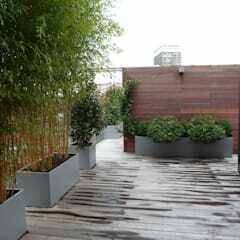 Another great addition to any outdoor area are planters. 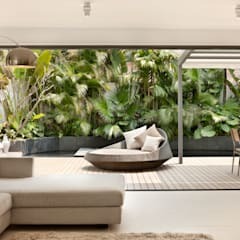 Flowers and plants, of course, bring a sense of natural beauty to the space, plus it can also be utilized as a shield from prying next-door neighbors. 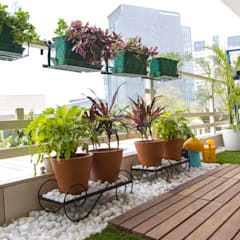 How can I protect my terrace from rain? 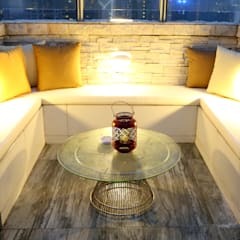 While wooden furniture are more aesthetically pleasing for a terraces, it is not the most conducive for countries such as Hong Kong, where rainfall is a usual occurrence. 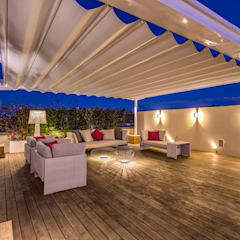 A good idea would be to add canopies to your outdoor area to protect your your furniture. 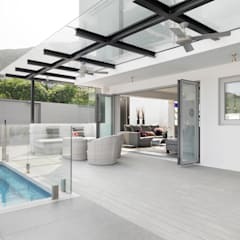 You can also rainproof the entire space by installing a glass roof that doesn’t compete with the lattice work. As for furniture choices, it is best to look for weather-proof items such as seats and tables made from plastic or mixed with metal. 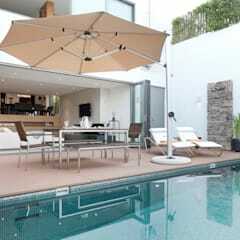 You can visit outdoor furniture stores in Hong Kong such as Everything Under The Sun or C’ESTKOOL for amazing pieces.